Richard C. Powell (Columbia) - Book Appointment Online! With years of experience in his field, Dr. Richard C. Powell is a highly skilled professional committed to providing the finest quality dental care, preventative,cosmetic, and restorative, in a friendly and relaxing environment. He makes himself available to patients and has been affiliated for years with a 24/7 nationwide emergency dental service. Dr. Richard C. Powell holds a B.A. from the University of Virginia and obtained his doctorate in dental surgery (D.D.S.) from University of Maryland’s College of Dental Surgery. 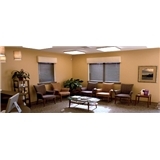 His two offices are located in Columbia and Towson, Maryland.